SoftwareSuggest states SysTools Outlook to MBOX Converter as the most secured and result-oriented tool to flawlessly export Outlook PST file to Thunderbird and various other MBOX supported email clients. 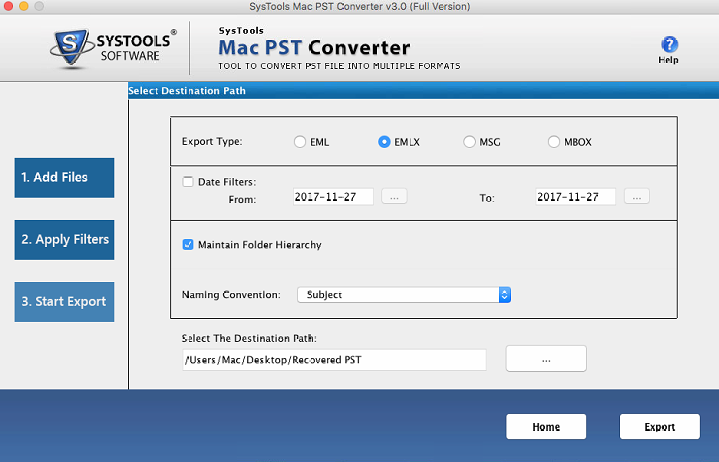 SysTools PST to MBOX Converter tool achieves 100% clean award by Soft32 for delivering Ad/Spyware/Virus free solution to efficiently convert Outlook email to MBOX. CNET rates this utility by rating 4 stars for been the most trusted software among users to provide hassle-free Outlook file conversion to MBOX format. This PST to MBOX software is rated as 100% secure and powerful utility by SoftPedia to provide an intuitive interface to instantly convert Outlook emails to Apple Mail, Thunderbird, Entourage and various other MBOX supporting email platforms. One can easily download free trial of Outlook to MBOX Converter software, as it can quickly convert PST file to MBOX in a reliable yet a smart way. This is because the software renders cost-effective features that could easily export Outlook files to MBOX format within a short span of time. Besides this, the converted MBOX file can be imported on countless MBOX supported email programs as listed below. With Outlook to MBOX converter tool, now it’s no more a complicated task to export PST file to MBOX format. As the software is compatible and capable enough to convert both ANSI and Unicode PST file types to the output MBOX file format. ANSI PST Files In Outlook 2002 and previous versions, the PST files are in the American National Standards Institute (ANSI) format and the overall capacity or limit of the file is of 2 gigabytes (GB). Unicode PST Files This is the default file format for Microsoft Outlook 2003 and all the above versions. Unicode PST files support multiple character sets and have no limitation in the number of items per folder. Moreover, it has increased the file-size limitation, unlike the ANSI PST file, which the maximum capacity of 2GB. What All Data Are Converted From Outlook to MBOX Format? Email Messages A user can easily download free trial Outlook PST to MBOX software by SysTools, as it is an all-time best solution to smoothly convert PST files to the desired MBOX format. In addition to that, all the Outlook email messages with the inline images, links, signature will be retained in the imported email client. Folders With the help of this software, all the folders associated with the PST file will also be migrated to the destination email program. This includes Inbox, Drafts, Sent Items, Deleted Items, Junk Email, and much more. Note: It will recreate the source folder hierarchy. Maintains Folder Hierarchy This PST to Thunderbird converter tool ensures to preserve the folder structure intact of the email messages, which is corresponding to individual email folders. Moreover, all the read and unread messages of the PST file are also well-maintained in the converted MBOX file. 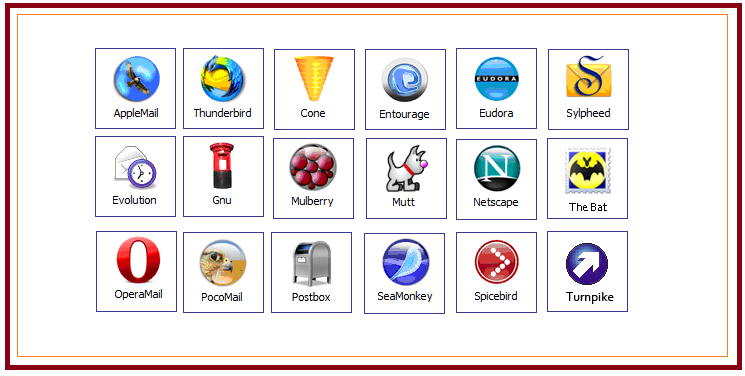 Quickly Export Outlook PST files into various MBOX supporting email applications like Thunderbird, Apple Mail, Entourage, Opera Mail, SeaMonkey, Google Vault and Many More! 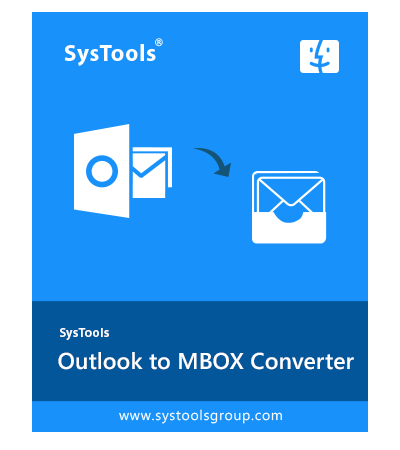 SysTools Outlook to MBOX converter tool is an ultra-quick software to convert all emails from Outlook data file to MBOX file format along with the attachments. It allows to move single PST file at a time and saves the output MBOX file individually per folder. Moreover, this efficient utility export the entire folder containing emails, which includes Inbox, Outbox, Sent Items, Drafts, etc to the desired MBOX format. This best PST to MBOX converter tool is designed in such a way that it provides an option to keep the folder hierarchy intact while converting Outlook PST emails to the output MBOX. Based on the requirement, a user can either keep the hierarchy maintained by selecting the “Yes” option else select the “No” option, if you do not wish to maintain the folder structure. Once the Outlook file is loaded on the software dashboard to convert PST file to MBOX format, upon clicking the Export button, this Outlook to MBOX converter tool shows the complete data count for each folder. This includes Current Folder in which, it displays the name of the current folder that is been converted. Other details include Folder Count and Email Count, which shows the number of emails to export Outlook PST to MBOX format. After undergoing the file conversion process using this top-notch converter utility, it ensures to preserve the complete data integrity. The entire metadata associated with the respective emails like To, From, Sent Date, Received Date, Cc, Bcc, etc are also retained. Apart from that, the original formatting of the emails and various other crucial data including attachments are also maintained without any modifications. A user can conveniently convert PST to MBOX format with the help of this tool. This is because the software renders extended features by providing a single panel interface for file selection, conversion and to know the conversion status. With this efficient utility, it does not allow users to face any technical glitches thereby renders a smooth file conversion process. Moreover, the single panel interface makes easy to export PST file to MBOX comfortable for all types of users. The free trial version of Outlook to MBOX converter tool can be easily downloaded, which creates an MBOX format per folder for every single PST file in a preserved folder structure as that of the source format. Moreover, the converted MBOX file can be easily imported on all the MBOX supported email platforms without any hassle. A user need not have to face any compatibility issues while exporting the output MBOX file to , Entourage, Eudora, SeaMonkey and so on. For Mac OS users, this software is extremely a great relief to convert Outlook to MBOX supported Apple Mail application. Furthermore, a user can easily export the converted MBOX file to application without worrying about the MBOX file size limitation. Besides this, there is no occurrence of any data loss issue after completing the conversion process. has been a widely used email client among users, which supports MBOX file format. In order to export Outlook PST file to email platform, users can completely rely on this feature-rich PST to converter tool. As it lets users to convert the Outlook file in a trouble-free way, which can be later accessed in Thunderbird application for instant access of the MBOX files. 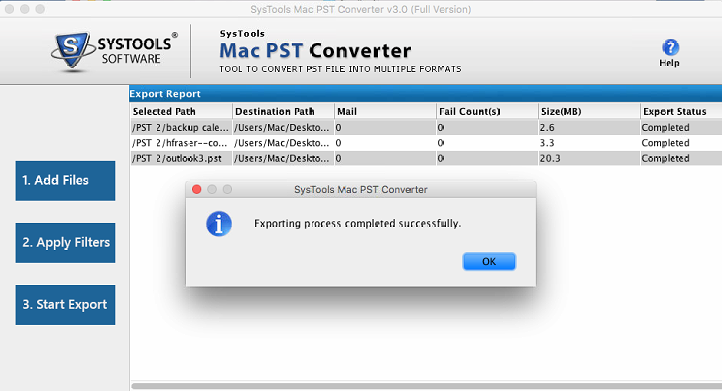 This Outlook to MBOX exporter tool by SysTools is completely a safe and secure that provides accurate results for PST to MBOX conversion. With its simplified and single panel interface makes easy for a novice user to easily operate the tool without facing any technical discrepancies. Furthermore, a user can directly reach out to the support team for any assistance if required while undergoing the file conversion process. A user can independently convert Outlook PST to MBOX format to import the file to the desired MBOX supporting email platform. Once the PST file is uploaded for file conversion, one can create the destination location of the MBOX file as per the user’s choice. Within the software interface, it provides Make New Folder option wherein a user can pick the best location of his/her choice to save the output MBOX file with this Outlook to MBOX converter utility. Trial version of Outlook to MBOX software allows converting and saving first 15 emails from PST file to MBOX file format. Microsoft Outlook (32 bit) should be installed and configured for a valid or dummy POP3 profile (Not Configured for Exchange). If you are using Window 8.1/ 8/ 7 or Vista, then please launch the tool as "Run as Administrator". How Does the Tool work to Import PST file to MBOX format on Windows OS? Does the MBOX file created after file conversion is compatible with email application? Yes, you can use this tool to convert Outlook PST to Eudora email account supported MBOX file and manage it from there. Compatibility between the files and platform will not be a concern. Is it possible to convert PST files of MS Outlook 2002 to import into application? Yes. This tool is developed to support both ANSI and Unicode PST file types wherein a user can easily convert PST file to MBOX format seamlessly. Does the tool allow to convert Outlook emails into MBOX file format without Outlook installation? No, Outlook environment is required to perform PST to MBOX conversion using this tool. Moreover, a user must install MS Outlook(32-bit) and must configure with a valid or dummy POP3 profile. Is it possible to migrate corrupted PST files to MBOX format? No, This Outlook to MBOX converter tool is developed to export only healthy PST files, which means it does not provides the functionality to migrate corrupted or password protected PST files. Does the tool capable enough to transfer multiple PST files at a time? No, the tool only allows to convert single Outlook PST at a time as it does not support file conversion in bulk. Does the tool provide the option to convert calendar items along with emails? No, the tool is designed to convert only Outlook emails wherein a user can import PST to MBOX format so that one can easily access the emails in Thunderbird, Entourage, Apple Mail, Eudora and various other MBOX supporting email clients. Is it necessary to have MBOX supportive email clients on the machine? No, there is no such requirement to have MBOX supported email programs on the system to convert the Outlook PST files. What is the maximum time taken to export Outlook files to MBOX format using this tool? The time required to convert PST file to MBOX file format is totally depended on the size of the PST file. After the conversion process, the resultant MBOX file can be easily accessed using any of the MBOX supported email programs like Apple Mail, Entourage, Eudora, Netscape, etc. I had numerous crucial Outlook emails that need to be converted into Thunderbird supported MBOX format. Unlike other converter tools, which gives fake promises to seamlessly convert PST to Thunderbird format. With the help of this all-rounder software, it allows to export the PST files to the resultant format by preserving the folder structure intact as that of the source format. I was sincerely looking for a reliable solution to import the PST files to MBOX file format so that I can migrate Outlook PST to application. As usual, I was not getting any appropriate solution for the same. After several months of research, I came to know about this utility, which allowed me to successfully import Outlook 2007 PST file to without any hassle. No doubt, it was always been a troublesome task for me to convert Outlook emails to MBOX format. As I’ve tried numerous converter tools, I was not completely satisfied with the features of those tools. However, with this efficient and powerful exporter utility, I could easily export Outlook files to MBOX by consuming the least conversion time. I am truly mesmerized using this converter software. This tool is worth the penny! As my Outlook email program is always prone to corruption and data inaccessible issue. I thought to export all of my crucial Outlook emails to a reliable email application like Opera Mail. 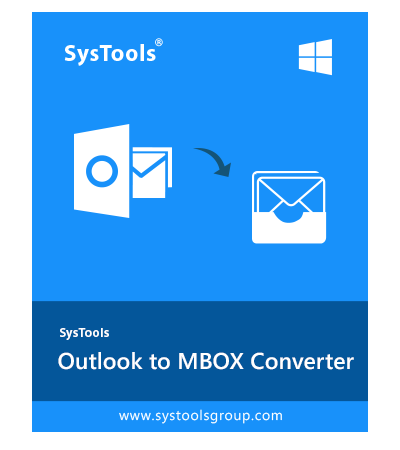 With SysTools Outlook to MBOX converter, the conversion process was made easy as I could conveniently import Outlook emails without facing any hindrances. WeSuggest states Mac Outlook converter as a 100% safe and secure utility to convert Outlook to MBOX file format by providing complete file migration solution to quickly export Outlook files to MBOX. 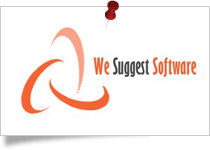 When it comes to import PST file to on Mac, users can easily avail this seamless software. With it’s single panel interface, it becomes easy for both technical and non-techncial users to swiftly transfer Mac PST files to MBOX format, which later can be imported in any of the MBOX supported email applications. What All Data Are Converted From Mac Outlook Emails to MBOX? Email Messages One can easily download the free trial of Outlook to MBOX converter for Mac. With the help of this utility, now it becomes easy for the users to export Outlook emails to MBOX format so that users can easily import the converted MBOX on any of the MBOX supported email client. It lets users to import the email message within the specified date range, inline images, signature, etc will be retained in the imported email program. Folders This tool permits users to migrate all the folders associated with the Mac Outlook emails to export Outlook files to MBOX. The different Outlook folders include Inbox, Drafts, Sent Items, Junk Email, Deleted Items and so on. Note: It will recreate the original folder hierarchy. Preserves Folder Hierarchy Mac Outlook to MBOX Converter maintains the folder structure intact of the email messages as that of the source format. Besides this, all the read and unread messages of the source PST file is also maintained in the destination MBOX email client. Mac Outlook to MBOX Conversion Tool to Convert Mac PST Files on Mac OS X 10.8 and all the above versions. The Mac Outlook to MBOX Converter is developed with the powerful algorithms by the best technocrats to export PST to MBOX on Mac file format. Besides transferring MS Outlook files to MBOX on a Mac device, it also performs the migration in batch mode at once without any hassle. The Best Outlook to MBOX converter for Mac OS works exactly according to the need of the user. It provides two different options to add the PST and execute the conversion task. This includes Add File to add single or multiple PST files. Whereas, Add Folder allows to add a single PST folder to easily convert PST to MBOX on Mac. Once the Outlook to MBOX converter software is launched on the Mac machine, it provides different options and one can choose the required filters for effectively converting the files. Moreover, it creates single MBOX file for an individual Outlook PST file. It ensures to keep the entire data safe and secure throughout the process. Mac Outlook to MBOX converter tool supports multiple Microsoft Outlook editions. By this, users can convert PST to MBOX for Mac on Outlook version 2019 and all below versions like Outlook 2016, Outlook 2013, Outlook 2010, Outlook 2007 and so on to the resultant MBOX format. Besides this, it is also capable to import Outlook emails to MBOX on Mac for both Unicode and ANSI PST file types. Another interesting feature, which is rendered by this error-free utility is that it renders all the mesmerizing features in a simplified interface. Because of which, it makes easy for a novice user to easily convert PST to MBOX on Mac without seeking any assistance from anyone. This Mac Outlook to MBOX software supports all Mac OS X 10.8 (Mountain Lion) and above versions, which is one of the highlighted features of the tool to import PST to MBOX. The various editions include Mac OS X 10.9 (Mavericks), Mac OS X 10.10 (Yosemite), Mac OS X 10.11 (El Captain), Mac OS X 10.12 (Sierra), and Mac OS X 10.13 (High Sierra). In order to implement the file conversion process from Outlook to MBOX format, a user can instantly find the PST file from the selected folder/volume. Within the software interface, one can upload the desired PST file to convert into MBOX format by selecting the file format as All Files. With the help of Outlook to MBOX Converter software, it migrates all files with same folder structure as that of the original one. The software guarantees the data integrity throughout the conversion procedure of Outlook for Mac to MBOX format. One can completely rely on this Outlook to MBOX Converter software, as it permits users to filter out the emails that is stored in the PST file according to the specified Date to convert PST to MBOX for Mac. Because of which, users can export selective data from the Outlook to MBOX format without facing any technical disputes. This Mac Outlook to MBOX tool performs the scanning process and creates a complete report of the PST file. The report comprises of different information of each converted PST file such as Selected Path, Destination Path, Mail Count, Fail Count and Export Status. 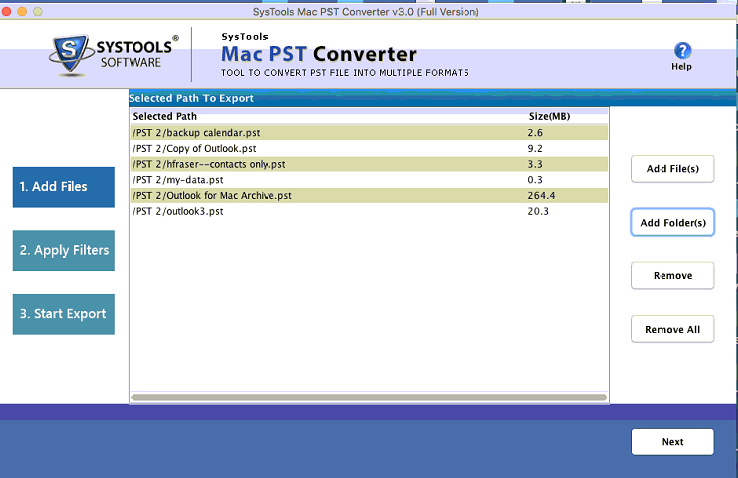 Trial version of Mac PST to MBOX Converter Tool will export only saving 25 items per PST file. How does Mac Outlook to MBOX converter software works? 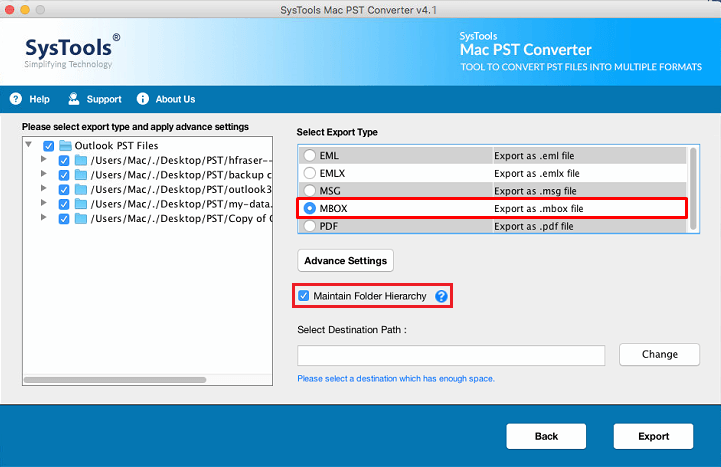 With the following simple steps, users can smoothly convert Outlook PST of 2019, 2016, 2013, 2010, etc to MBOX format on the Mac machine. Step 1:– Download and launch Mac Outlook to MBOX Converter tool on the Mac system. Is it possible to run this software on Mac OS X 10.11 to convert PST to MBOX? This converter tool is easy to get downloaded on Mac OS X 10.8 and all the above versions including Mac OS X 10.11. Is there any data loss issue while undergoing Outlook to MBOX conversion on Mac OS? No, this Mac PST to MBOX converter is absolutely safe and secure utility, in which there is no chances of data loss issue. Can I convert PST from Outlook 2016 to MBOX and access it on ? Yes, the software Outlook to MBOX converter for Mac produces an MBOX file that can be accessed in any of the MBOX supported email applications including Apple Mail. Is there any file size restriction to import PST file to on Mac? No. This Mac Outlook to MBOX converter tool permits users to convert PST to MBOX on a Mac of any file size to the Thunderbird email program. Does the tool allow me to transfer the corrupted PST files on Mac OS X? No, the utility does not support the file conversion of damaged PST files. Therefore, it is not possible to migrate corrupted Outlook files to MBOX format on Mac machine. How many Outlook emails can be converted using this Outlook to MBOX converter software? Is it possible to export bulk PST files to MBOX using this tool? Does this utility capable enough to export PST files in bulk? Yes, this Mac Outlook to MBOX converter software is developed in a manner that it can perform the file conversion process of multiple PST files at a time to seamlessly convert PST to MBOX for Mac. Does this Mac Outlook to MBOX Converter tool allows to convert corrupted PST files on Mac OS X machine? 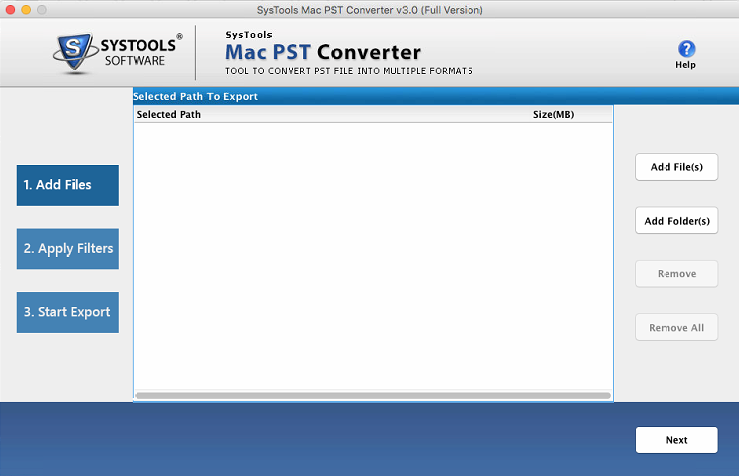 No, this converter software is designed exclusively to convert PST to MBOX on a Mac. As always, I had to undergo troublesome time to export PST to MBOX for Mac format. However, after using this tool, I am truly mesmerized as it a powerful utility comprising with a set of advanced features that will definitely blow your mind! Mac Outlook to MBOX Converter really helped me a lot. Its ability to work on all the latest version of Mac OS X is amazing. I have finished the entire process to import Outlook PST to Mozilla MBOX email client within no time in an accurate manner. Really want to say a big thanks to the entire team, which allowed me to faultlessly convert PST to MBOX for Mac. Mac Outlook to Thunderbird Converter tool is worth buying. Its single panel interface allows me to work with while undergoing the conversion process. I easily migrated my Outlook PST file folder into MBOX without any hassle! Indeed a wonderful application to work with! Yes, no previous experience of using third party products was as good as with this advance utility. I am amazed with the fact, that it allows so many options for making the conversion from PST file to MBOX on Mac machine easy. I would like to suggest this program to all users who are still struggling for the solution to convert PST to MBOX on Mac. I have been searching for the utilities which can import Mac Outlook PST file to application. Recently I came to know about this amazing tool. I used it to export emails from Outlook 2016 to account which came out to be a great success.